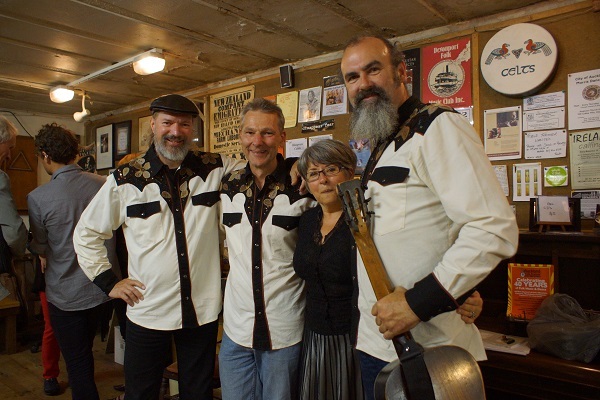 Thanks to the Devonport Folk Club, today the Bluegrass Club meets in The Bunker in Devonport. It’s a unique and quirky place to hold a club, that has built a word of mouth reputation around the world as a great place to play and a great place to listen to music. Back in 1986 the Bluegrass club met in the NZ railways staff training centre, then later in the Railways maintenance workshops. Still later it moved to the Leys Institute in Ponsoby, Al’s Bar in the Astor Hotel at the top of Khyber Pass road. Then it was off to the ARC Social Club rooms in Pitt street before finding a welcome home at the Bunker. Some life members can tell you when this move happened if you ask nicely and pour enough beer down their throats.